Yesterday I shared posts that meant the most to me in 2012, the ones that best defined my year. 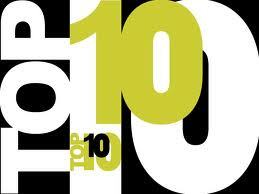 As promised, today I am sharing the top ten most popular posts from 2012. First, though, I would like to remind readers I write on topics other than love and relationships. And that I am not, nor will I ever be, an expert on those topics. But somehow, everyone thinks it’s my best writing. Or maybe readers stop by frequently to read my relationship posts to feel better about their own love lives. Or to laugh. Whatever the reason is for the interest in my relationship writing, readership is up when I write on the topic. Surprising as it is to me, seven of the top ten posts in 2012 were about love and relationships. Whatever the reason for the visits–to laugh at my dating antics, take advice, knowingly shake your head in solidarity over my parenting woes, cry along with me, or to feel inspired-thank you. I continue to feel overwhelmed by the readership support and success of this blog. On Battling a Scary Monster. And Winning.